Since its launch in 2003, the Rolls-Royce Phantom VII model will finally be retired to make way for the Phantom VIII. Propelled by a 6.75-litre naturally-aspirated V12 capable of a stonking 453bhp, the seventh generation Phantom is built on a nearly all-aluminium chassis with a bespoke interior. Obviously, it also commands a raft of exclusive luxury features ai??i?? suicide doors, umbrella compartments built into the rear doors, and a retractable hood ornament (called The Spirit of Ecstasy) designed to prevent theft or injury to pedestrians. The customisation on the final Phantom VII is nautical-themed. Its blue velvet exterior colour complements the ocean liner motif on the shoulder and the pinstripe tyres. The design is said to be inspired from a 1930s ocean liner. The cabin is upholstered in plush powder blue leather with lambswool carpeting bearing patterns mimicking the trail of disturbed water a ship leaves in its wake. The tachometer is given a miss on all seventh generation Phantoms. In its stead is a ai?? ?power reserve dial, which displays the amount of unused power generated by the engine. Besides this standard fitment, the last Phantom VII gets a clock bezel which can be rotated and adjusted to 24 different time zones. The baseAi?? price for the car is an eye-watering A?3,73,824 (close to Rs 3.18 crore). The bespoke specifications cost a small fortune, over and above that amount.The last Phantom VII is the ideal way to end the 14-year reign of this model. 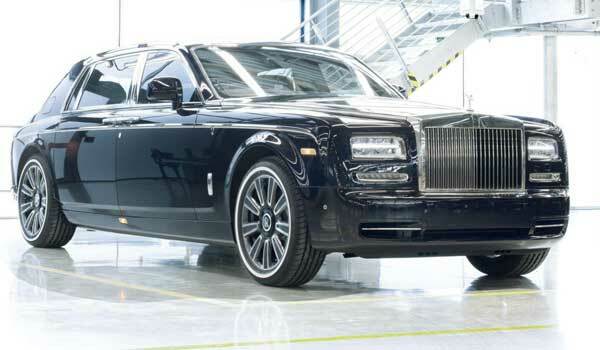 For 2017, Rolls-Royce has an all-new eighth generation Phantom with an ai?? ?all-new aluminium architectureai??? on the cards.